Armstrong is a French adaptation of Louis Armstrong's "Go Down Moses" by Claude Nougaro. 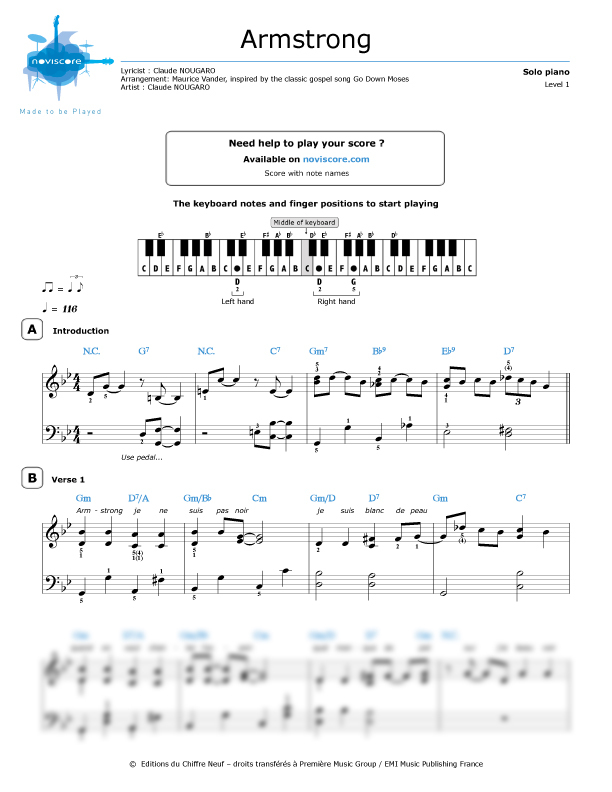 Although the original is gospel, Claude Nougaro has introduced jazz to his version. 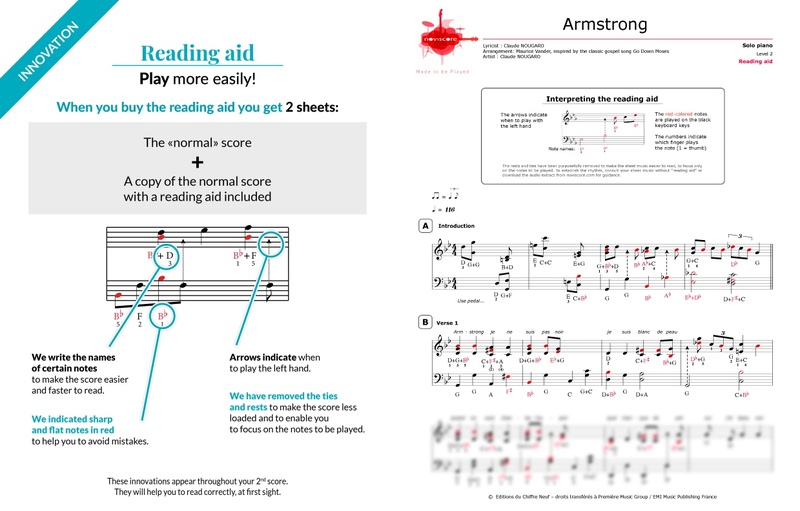 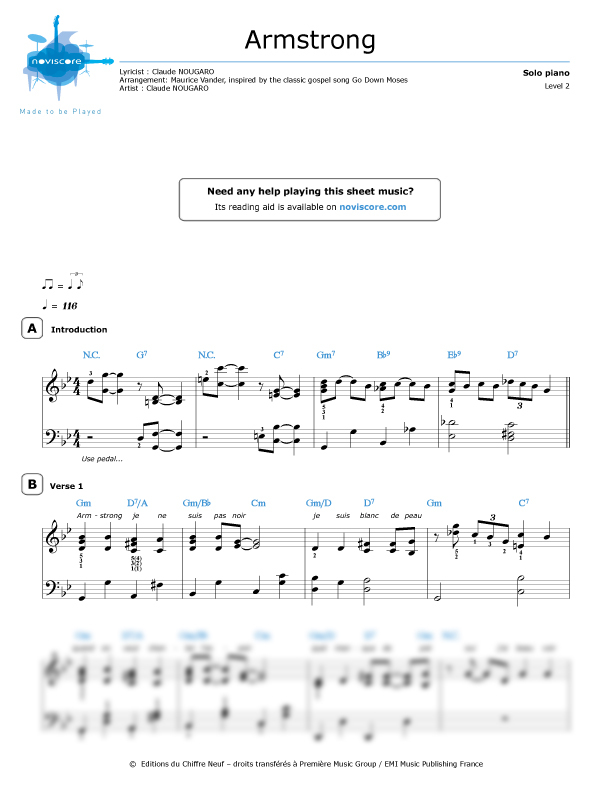 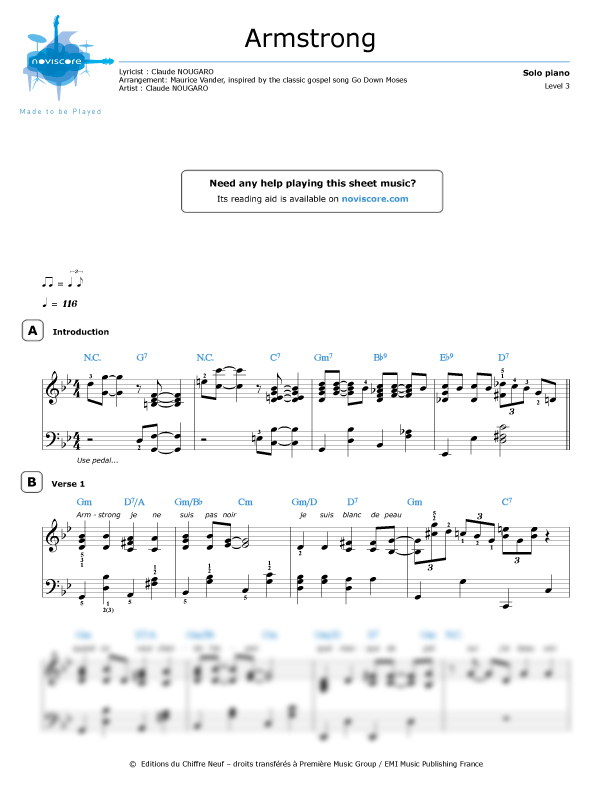 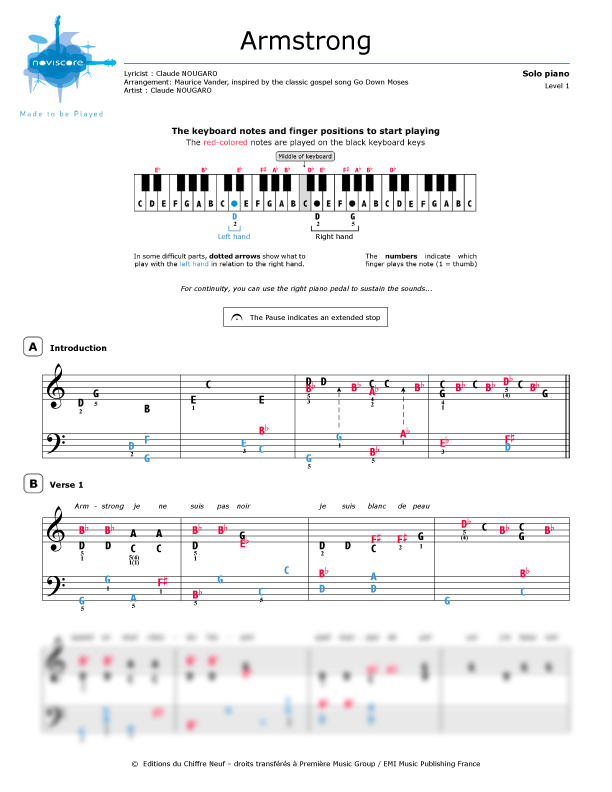 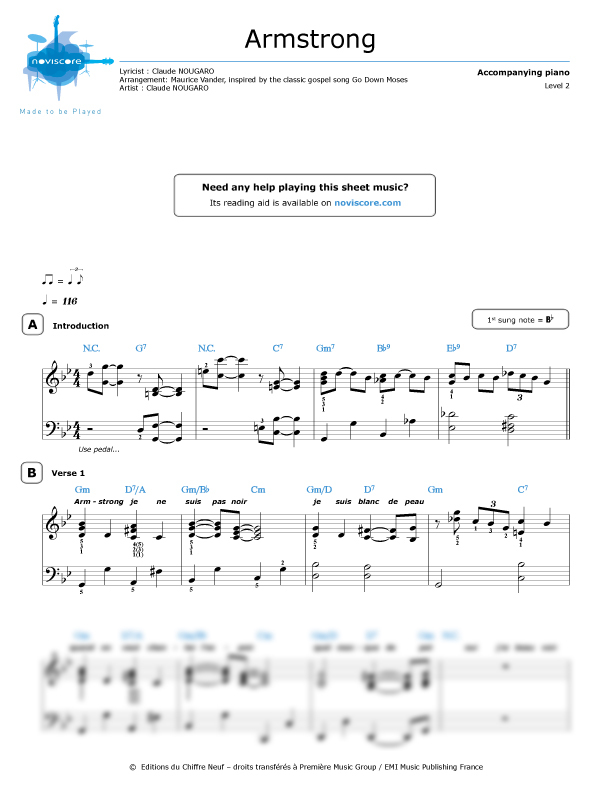 Choose your Armstrong piano sheet music from our different skill levels available for piano solo or piano accompaniment. 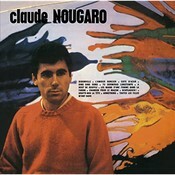 Claude Nougaro, with his interpretation of Go Down Moses, has made “Armstrong” a tribute to Louis Armstrong himself, as well as an attack on racism.